Intact Genomics has the largest collection of T4 Enzymes and proteins in the industry. This includes T4 UvsX DNA Recombinase, T4 UvsY Protein, and T4 gp32 protein which can be used for many applications including homolog recombination. 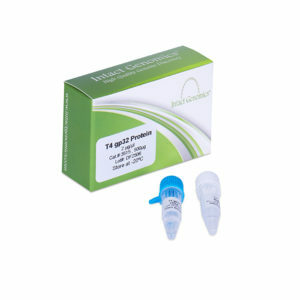 We also offer T4 DNA Ligase, T4 DNA Polymerase and T4 Polynucleotide Kinase which can assist with your molecular cloning or NGS needs. Intact genomics provides the highest quality and great value!